Buying real estate in your student’s college town can be a short-term vehicle for savings and a long-term vehicle for investment. Realtor.com® recently ranked the cities best for both, factoring in monthly mortgage payments (based on a 20 percent down payment) and other housing costs such as insurance and property taxes, and monthly rental costs. The median price for a home in Baltimore County is $131,400, well below the national median of $260,000, and homes have an average of three bedrooms and two bathrooms, according to realtor.com. 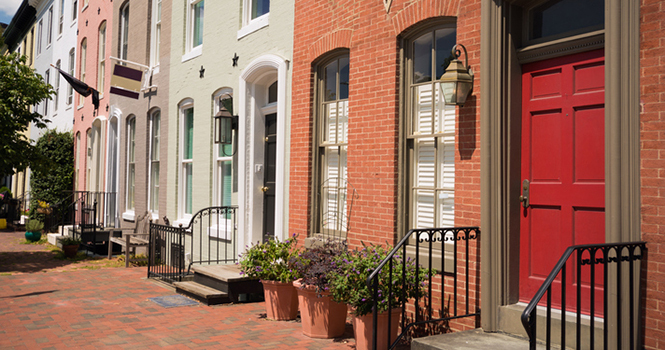 Charles Village, a small neighborhood located southeast of campus, is popular for students. Another great area for investors is in and around the recently revitalized East Baltimore Development Inc. project. With a median home price of $89,900, the area surrounding the University of Notre Dame offers the most affordable home prices in the top 10 ranking. When comparing the average ownership cost and rental payment, parent investors could potentially save $386 a month, which does not account for their student living with roommates. South Bend is a popular student neighborhood around Notre Dame where housing stretches the dollar and offers multiple bedrooms with affordable prices. Homes near Purdue University have an average price of $131,000 and offer an average of three bedrooms and two bathrooms. Parents looking to invest may want to consider the Chauncey Hill area, which is popular with students due to its close proximity to campus and overall walkability. The median price for a home in Ingham County is $107,225 and homes have an average of three bedrooms and two bathrooms. Downtown East Lansing is popular among younger undergraduate students who want to be close to campus as well as bars and restaurants. Parents of graduate students may want to consider the Groeseck neighborhood, which is better for those looking for a quieter, more relaxed environment. The average home surrounding University of Pennsylvania is $167,950, well below the national median, and offers three bedrooms and two bathrooms. With an average monthly rent of more than $1,200, parents looking to invest in real estate have the potential for significant income. Point Breeze and Passyunk are popular neighborhoods for undergraduate students because of their proximity to campus, as well as their general walkability. University of Maryland has the highest average home price on the list, with a median of $300,447, as well as the highest average monthly rent of $1,971. While more costly, the average home has four bedrooms and three bathrooms, which gives parents more opportunities for rental income. Parent investors should consider buying in the popular student areas of College Park Woods and Hollywood on the Hill. Homes in Cuyahoga County have a median price of $120,574, well below the national average, and offer an average of three bedrooms and two bathrooms. Coventry, North Coventry and Cedar-Fairmount are popular neighborhoods among students because of their easy access to shopping and grocery stores, as well as nightlife. The median home price in Delaware County is $189,125, and homes offer an average three bedrooms and two bathrooms. Parents of students attending Swathmore College may want to consider an investment in the revitalized downtown that is attracting large groups of students or the nearby borough of Media, which offers larger homes with a little more peace and quiet. Parents considering an investment around Marquette University will pay an average of $135,450 for three bedrooms and two bathrooms. Beerline, a small neighborhood that borders the north side of the Milwaukee River, is home to many new developments ready for investors, while the Lower East Side neighborhood offers single-family homes, high-rise apartment complexes and everything in between. The median-priced home in Champaign County is $149,075, with three bedrooms and two bathrooms. To the west of campus lies “Senior Land,” which is highly popular with students, as well as anything on Green Street between Neil Street and Lincoln Avenue. Downtown Champaign has been revitalized with a vibrant live music scene and a host of bars and restaurants. Homebuyers would spend 21 percent, on average, of the local median household income on housing in each of the top 10 cities—less than the 28 percent national average, according to realtor.com. Renters, to compare, would spend 27 percent, on average, of the local median household income on housing—more than the 25 percent national average. The ranking comes ahead of National College Decision Day, May 1.